"The United States, completely terrified at our accomplishment of the great historic cause of completing the state nuclear force, is getting more and more frenzied in the moves to impose the harshest-ever sanctions and pressure on our country," the ministry said. 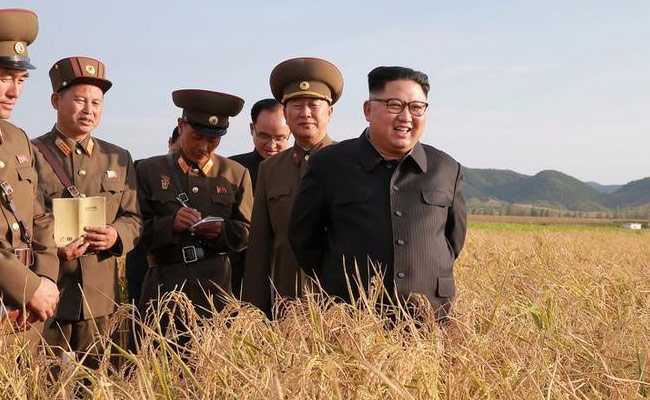 The latest round of United Nations sanctions against North Korea are an act of war and tantamount to a complete economic blockade against the country, North Korea's foreign ministry said on Sunday, threatening to punish those who supported the measure. "We define this 'sanctions resolution' rigged up by the U.S. and its followers as a grave infringement upon the sovereignty of our Republic, as an act of war violating peace and stability in the Korean peninsula and the region and categorically reject the 'resolution'." North Korea's nuclear weapons are a self-defensive deterrence not in contradiction of international law," it added. "We will further consolidate our self-defensive nuclear deterrence aimed at fundamentally eradicating the U.S. nuclear threats, blackmail and hostile moves by establishing the practical balance of force with the U.S," the ministry said. "The U.S. should not forget even a second the entity of the DPRK which rapidly emerged as a strategic state capable of posing a substantial nuclear threat to the U.S. mainland," it added, using the country's official name, the Democratic People's Republic of Korea. North Korea said those who voted for the sanctions would face Pyongyang's wrath.